Today's doodle is an ode to Douglas Adams, author of Dirk Gently's Holistic Detective Agency (as well as The Hitchhiker's Guide to the Galaxy). Having watched the new TV series remake, I have yet to read the book (GASP!) but it's definitely on the list of things to-do. "Let's think the unthinkable, let's do the undoable. Let us prepare to grapple with the ineffable itself, and see if we may not eff it after all." "Don't you understand that we need to be childish in order to understand? Only a child sees things with perfect clarity, because it hasn't developed all those filters which prevent us from seeing things that we don't expect to see." "There is no point in using the word 'impossible' to describe something that has clearly happened." "If the Universe came to an end every time there was some uncertainty about what had happened in it, it would never have got beyond the first picosecond. And many of course don't. It's like a human body, you see. A few cuts and bruises here and there don't hurt it. Not even major surgery if it's done properly. Paradoxes are just the scar tissue. Time and space heal themselves up around them and people simply remember a version of events which makes as much sense as they require it to make." "I commend you on your skepticism, but even the skeptical mind must be prepared to accept the unacceptable when there is no alternative." "If everyone knew exactly what I was going to say, then there would be no point in my saying it, would there?" "What I mean is that if you really want to understand something, the best way is to try and explain it to someone else. That forces you to sort it out in your own mind. And the more slow and dim-witted your pupil, the more you have to break things down into more and more simple ideas. And that's really the essence of programming. By the time you've sorted out a complicated idea into little steps that even a stupid machine can deal with, you've certainly learned something about it yourself. The teacher usually learns more than the pupil. Isn't that true?" "The complexities of cause and effect defy analysis." "The more Susan waited, the more the doorbell didn't ring. Or the phone." "It is difficult to be sat on all day, every day, by some other creature, without forming an opinion on them. On the other hand, it is perfectly possible to sit all day, every day, on top of another creature, and not have the slightest thought about them whatsoever." "It is a rare mind indeed that can render the hitherto non-existent blindingly obvious. The cry 'I could have thought of that' is a very popular and misleading one, for the fact is that they didn't, and a very significant and revealing fact it is too." "The light works, he said, indicating the window, "the gravity works," he said, dropping a pencil on the floor. "Anything else we have to take our chances with." "A life that is burdened with expectations is a heavy life. Its fruit is sorrow and disappointment." Misha and Joel, *big hug*!! It gets worse before it gets better. 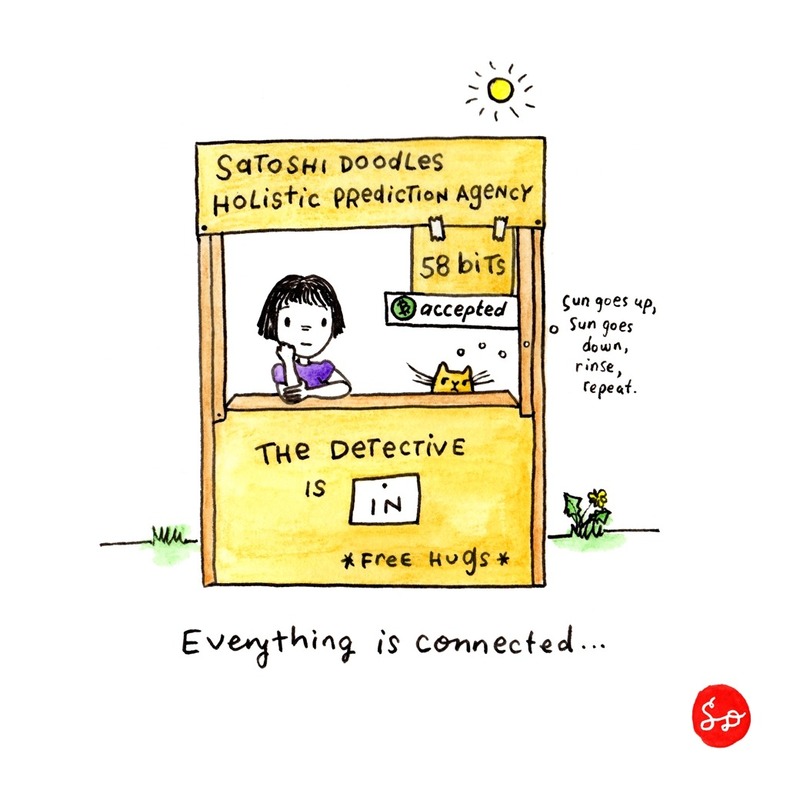 Meditation (and BCH) for everyone!